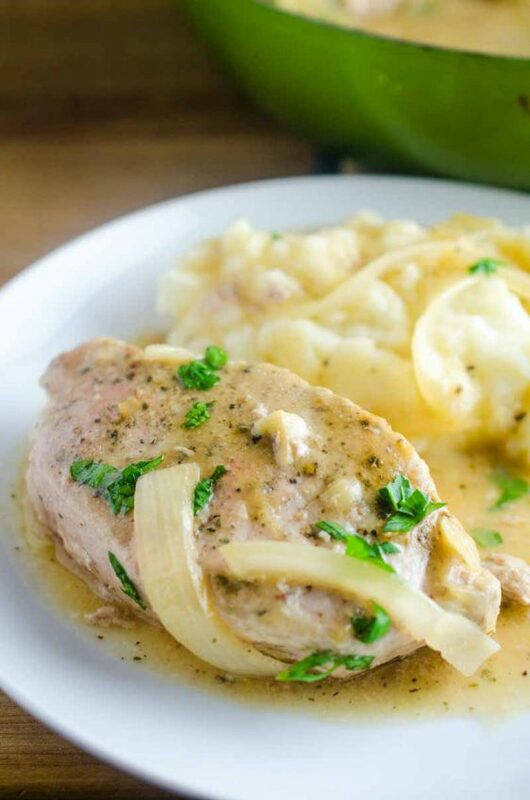 Parmesan Ranch Pork Chops are an easy and flavorful weeknight meal. 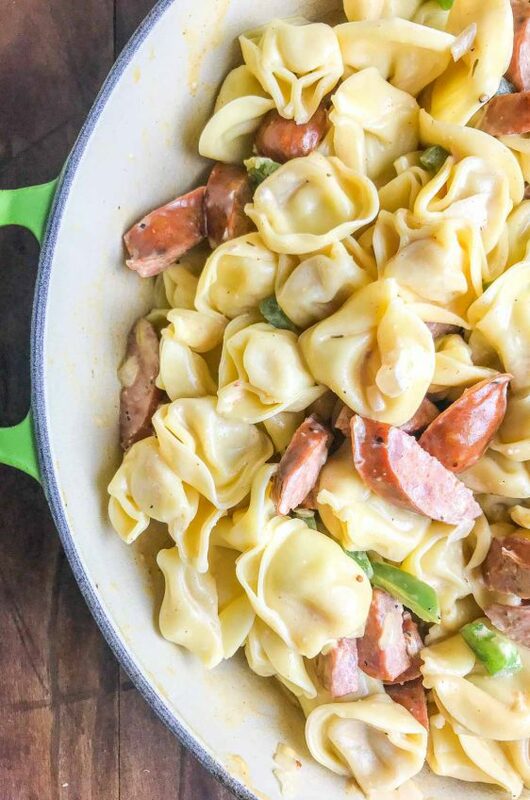 You probably have all of the ingredients needed in your kitchen right now! 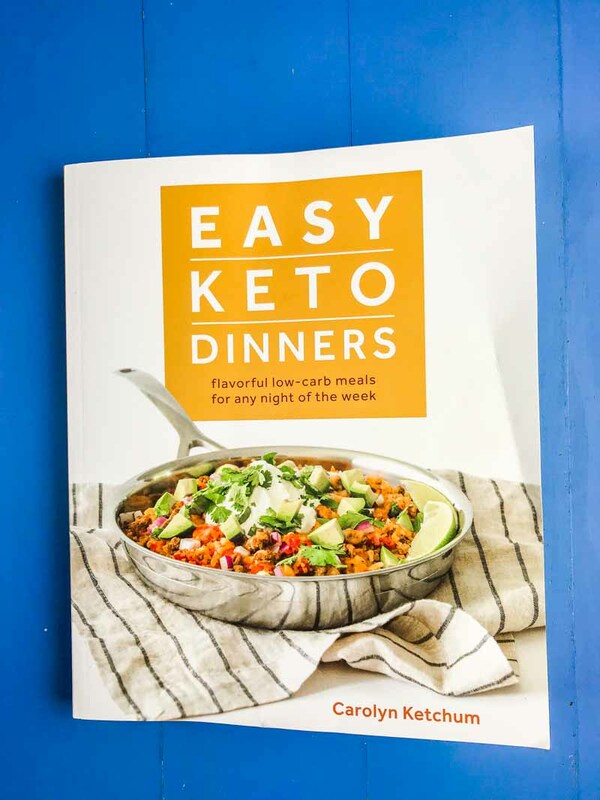 Disclosure: I was given a copy of Easy Keto Dinners to review. All opinions are my own. 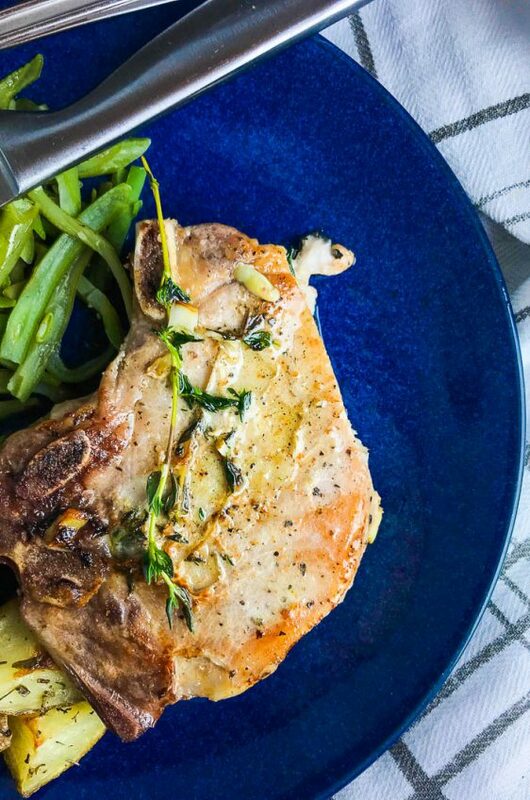 Pork chops are always a great weeknight meal. Pork chops don’t take long to cook and they can be prepared in a variety of ways. I have made Pan Fried Pork Chops and Oven Baked Pork Chops. 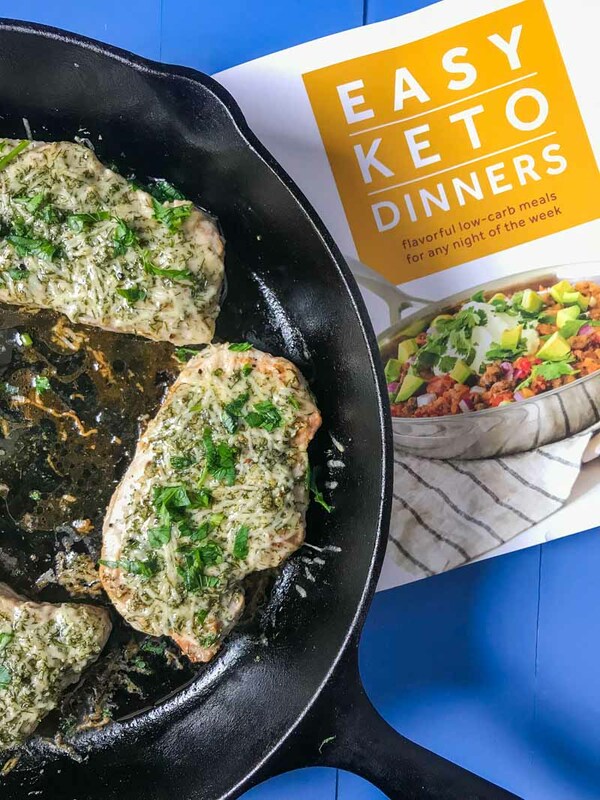 Today, I am sharing these delectable Parmesan Ranch Pork Chops from the new cookbook Easy Keto Dinners. I don’t know about you but I have seen ketogenic diet recipes popping up everywhere but I wasn’t really sure what it was until I did a little more research. A ketogenic diet is a diet that is high in fat and low in carbs. 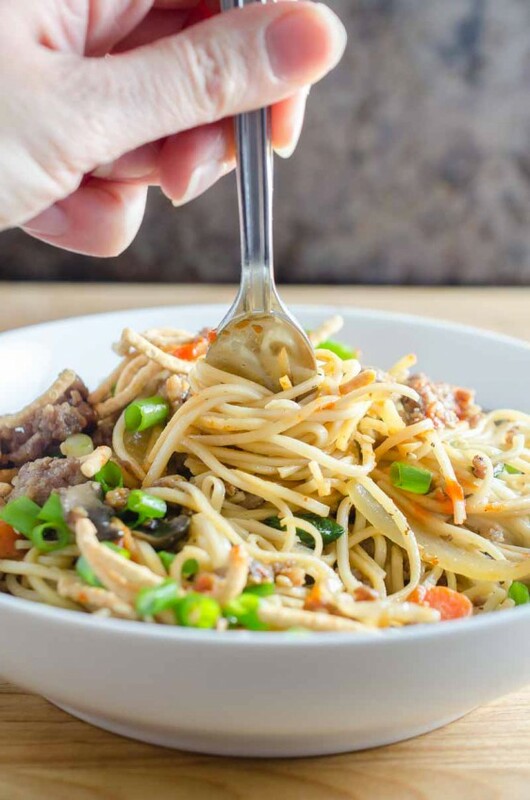 Now, I am the first one to say “gimme all the pasta and top it with mashed potatoes while you’re at it” but after checking out Carolyn Ketchum’s new cookbook “Easy Keto Dinners”, I must say, the ketogenic diet appears to be full of flavorful options. 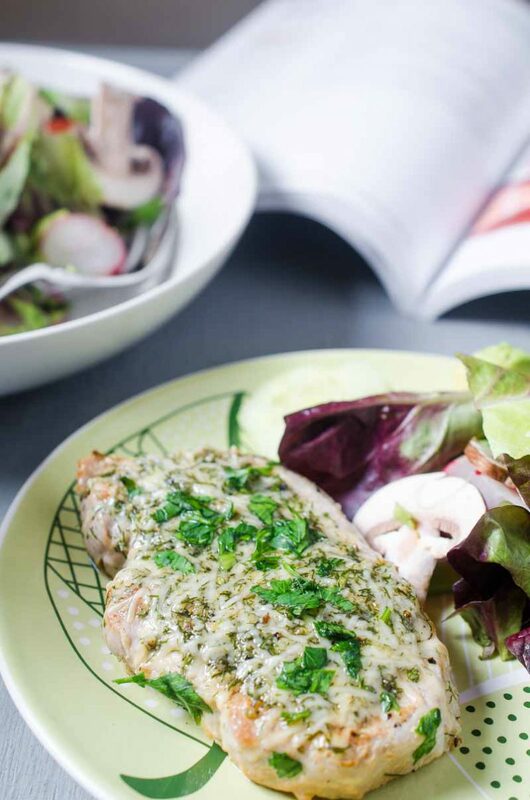 In this cookbook you will find recipes for Grilled Flank Steak with Cowboy Butter, Instant Pot Meatloaf, Slow Cooker BBQ Pork Rib Bites, Creamy Pesto Shrimp & Zoodles and these Parmesan Ranch Pork Chops. Talk about a bunch of deliciousness! 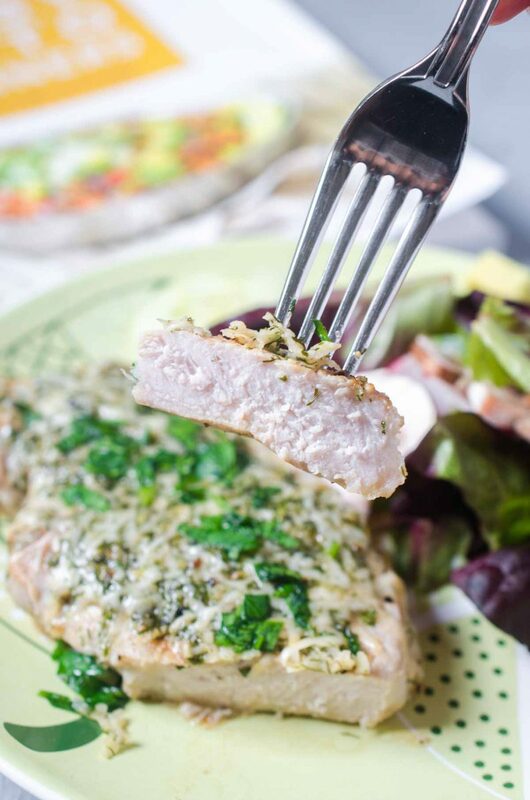 When deciding which recipe to share with you today, I picked Parmesan Ranch Pork Chops because I needed a quick and easy meal that I knew my family would love. My family loves Parmesan and Ranch and Pork Chops so this one seemed like a no brainer. 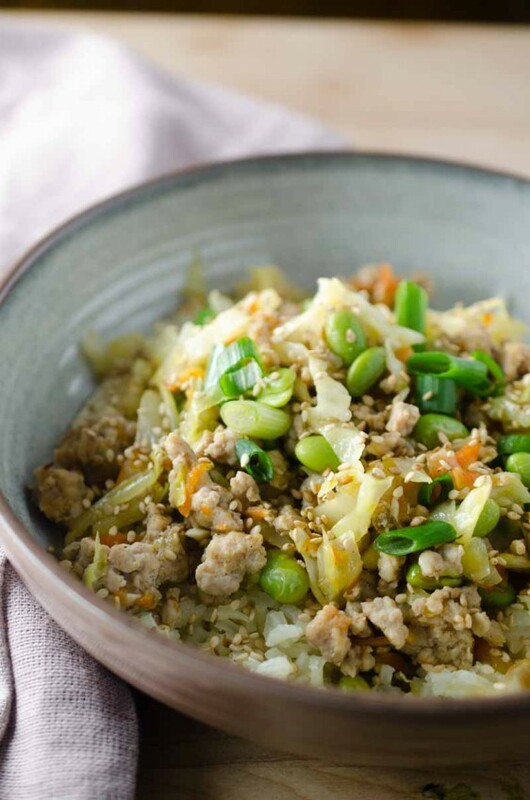 And, a prep and cook time of under 20 minutes, makes it perfect for weeknights. Basically, this is a winner all around. 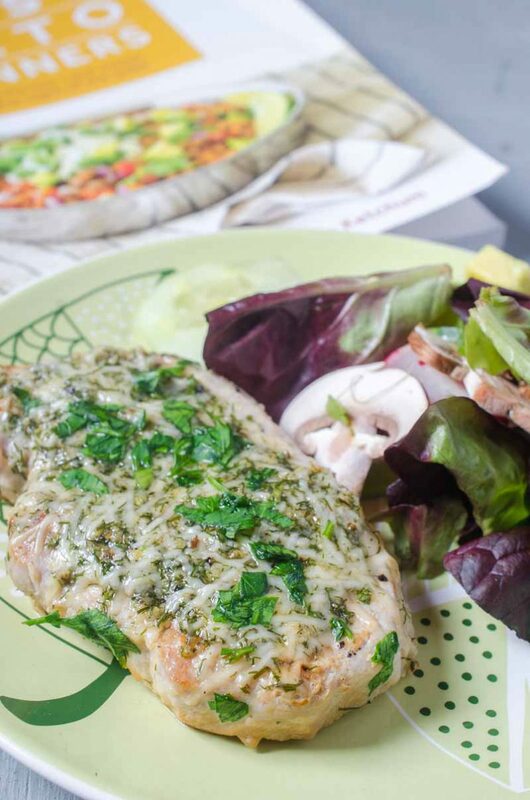 To get the “Parmesan ranch” flavor in this recipe, you simply need a few staples from your pantry: Parmesan cheese, dill weed, garlic powder, dried parsley, salt and pepper. It comes together really easily and it makes the perfect coating for these pork chops. My whole family gobbled these pork chops up. And you can bet that we will be making more recipes from “Easy Keto Dinners” soon! In a medium bowl, whisk together the ingredients for the Parmesan ranch seasoning. Set aside. Pat the pork chops dry with paper towels and season both sides with salt and pepper. In a large ovenproof skillet that can hold all of the pork chops, heat the oil over medium-heat until shimmering. Add the chops and cook 3 minutes, until nicely browned. Flip the chops over and cook for another 3 minutes. Remove the heat and sprinkle the top of each chop with the seasoning mixture. Press lightly to adhere. 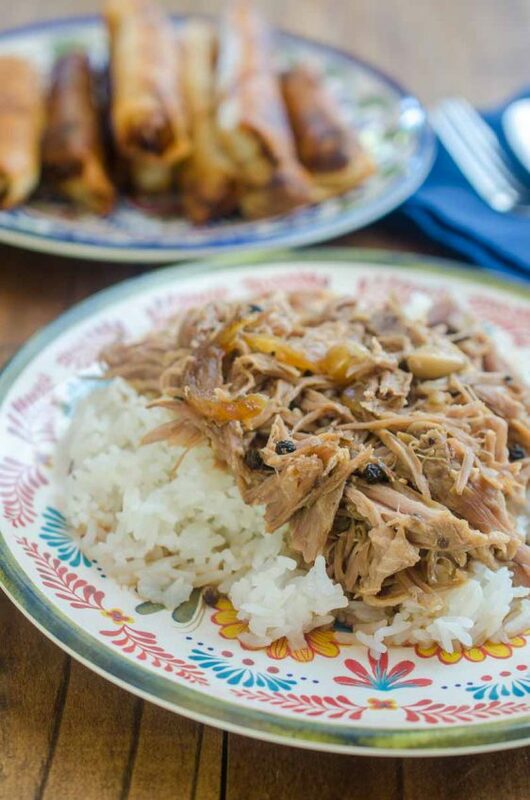 Place the skillet in the oven and cook until the pork reaches an internal temperatures of 145 degrees, 7 to 10 minutes. Serve garnished with fresh parsley, if desired. Recipe provided courtesy of Carolyn Ketchum's book "Easy Keto Dinners"
Such a great flavor combo! Definitely trying this soon! YUM! Looks amazing & great for Spring and Summer! These pork chops need to happen in my kitchen this weekend! So tasty! My husband would be so happy to see this for dinner! Such a family favorite flavor combination! Can’t wait to try it!